Green Screen shoots are the order of the day and have been for a long time. This one was in Frankfurt and was somewhat more elaborate than the usual head and shoulders shot. We needed head to toe shots to be incorporated into a virtual studio type set up. 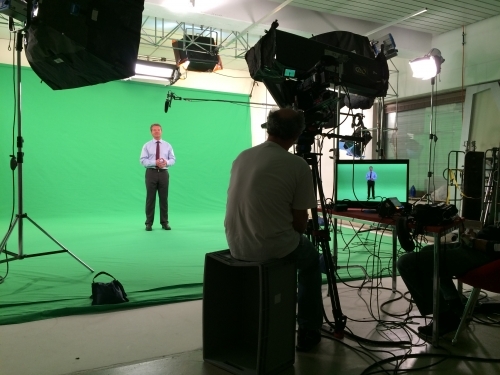 We shot xdcam with teleprompter and recorded 4.2.2. 10 bit to a pix 240 for greater color depth.